RDR DLC: Red Dead Rising? Red Dead Redemption keeps getting some new content regularly and you all know that. You might also remember that, when all the upcoming packs were first announced, one of them was mentioning zombies. Well, you know what? It will actually be the next DLC to come and you can see the very first images inside, and read the press release to know more about what it has to offer. To be honest, we are a bit curious to see why they have decided to bring the undead into the Wild West equation. It is maybe a long shot, but it might just be the best RDR DLC released so far. After all, it's a nightmare, so maybe there is a logical explanation to all this. This fall, prepare yourself for a shocking original experience introduced to the world of Red Dead Redemption - with the Undead Nightmare Pack. 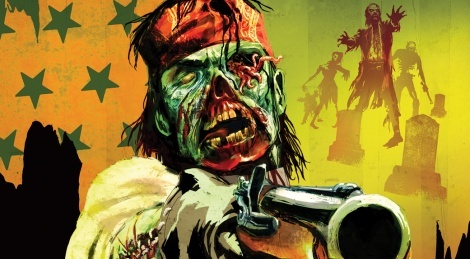 In addition to this epic new single-player adventure, The Undead Nightmare Pack also features brand new gameplay mechanics, weapons, zombie animals, mythical creatures and even a brand new secret location. All this, plus some exciting new multiplayer modes and much more to be revealed very soon. PlayStation®Network ($9.99) and Xbox LIVE® (800 Microsoft Points). zombies are in vogue right now. This looks Damn Cool,like the 70's B movies ! Think it will be Cool....lets wait and see some more. This only made me think about the new Yakuza game, it has zombies too. what does it matter, its DLC, you dont HAVE to buy it. Looks like i'm gonna have to buy this again damnit! I loved Red Dead but they really aren't doing it justice with all this amateur hour DLC. It deserves proper full length single player episodes, as GTA 4 got. Ugh how about finally releasing the game on PC? So that it can be an unoptimized mess? GTAIV for the PC was awful. Ok this made me wait until Rockstar decides to combine all the DLCs into one disc. I refuse to pay for the game and all these madness DLCs. It's a pity but it shouldn't really be like this. 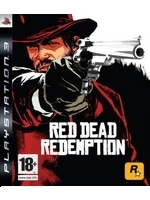 How many DLC are up for RDR now? Must be about 5? Maybe in games that are behind in the times. I can't wait for this, but if they are coming out with a disk that has all of them, I'll buy that instead. Yes. But... if it had a zombies HOLY HELL! It's only a matter of time till the Jonas Brothers make a movie where they're 3 high school zombies trying to find a date to the prom... THEN we'll see how cool zombies are. i'll be so over this one. can't wait. not interested in the other DLC for RDR, but this one is just too tempting for me to resist. I think is very well timed from Rockstar. um, because Zombies goes with everything these days, hell zombies will soon be coming with your favorite bowl of cereal -"Captain Crunch and Zombies" in the morning..
-so ever since then -Game Developers have had Zombies on the brain, and like any band wagon hopper will tell you, it's better to do exactly what everyone else is doing instead of trying to come up with something good on your own.. So it's not bad enough Zombies are in your movies, (zombieland on Blu-ray) they will now be in all your games... soon if your favorite game (insert your favorite game here) does not come with Zombie mode you will begin to feel like you got robbed. -and sadly it might already be too late to get that checked out.. If You really dont know, what to do,.....add zombies. STUPID!